If you’re a family member caring for a loved one with a brain injury, a senior parent or a dependent adult child, you likely feel you fill a role that no one else can. You provide assistance, support and encouragement not because you are being paid to, but out of love and concern for the survivor. This type of commitment is commendable, but many people remark that they don’t feel as if it is a choice, it is simply what is required of the situation. And so, they carry on. But through their strength caregivers often sacrifice their own well-being, both physical and emotional. Caregivers suffer difficulties in their relationships with family or friends as a result, and often experience anxiety and other psychological symptoms. They may also struggle to attend to their own well-being, such as preparing healthy meals or making time to exercise. While these difficulties are common and an understandable consequence of the care-giving experience, they do not serve the survivor well at all. The family member provides a unique form of caring that can’t be replaced with any paid services, which is all the more reason that they need to care for themselves as well as they care for others. 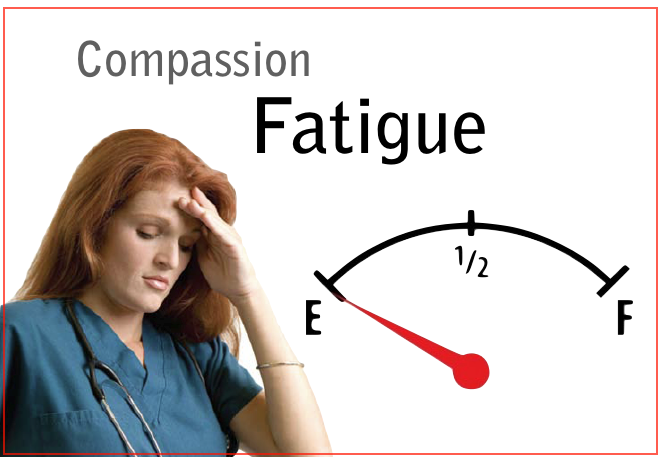 Compassion fatigue is also known as secondary post-traumatic stress disorder. It occurs when the caregiver is exposed to the stress and emotional upheaval of seeing their loved one experience difficulties. Over time they may find it increasingly difficult to cope, see hope, and may feel that their efforts are not making a difference. This is compassion fatigue taking hold, so what can be done? There are a number of things caregivers can do to help. First, isolation and a lack of willingness to accept support from others will only bring on compassion fatigue on more quickly. Being physically near the person does not automatically reflect on how much the caregivers love and care, especially if they are verging on collapse, short tempered, worn out, and weary. Taking time away to visit a support group or just engage in activities that they find enjoyment in can allow the caregiver to renew so they can bring their best selves back to their care-giving duties. In studies with large population-based samples, about one third of caregivers report neither strain nor negative health effects.21 Particularly in the early stages of care-giving, negative effects may not occur. Even when care-giving demands become more intense and result in high levels of distress and depression, caregivers often cite positive aspects of the experience. They report that care-giving makes them feel good about themselves and as if they are needed, gives meaning to their lives, enables them to learn new skills, and strengthens their relationships with others. Researchers have known for some time that individuals in supportive social relationships are happier and healthier and live longer than those who are socially isolated. Recent findings suggest that supporting or helping others may be just as beneficial to health as receiving support. 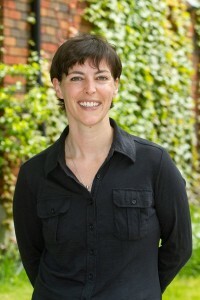 After controlling for baseline health status, Brown and colleagues found that individuals who provided instrumental support to friends, relatives, or neighbors and people who provided emotional support to their spouses had lower five-year mortality rates than individuals who didn’t help others or didn’t support their spouses. Conceptual models of care-giving and health suggest that health effects should unfold in a cascading fashion. Caregivers first experience distress and depression, which are followed by physiologic changes and impaired health habits that ultimately lead to illness and possibly to death. Although researchers have demonstrated the predicted effects for isolated components of this model, they have not shown how illness progresses sequentially or how one condition, such as depression, leads to changes in health habits or physiology. Many studies show that caregiving causes psychological distress, but virtually none have demonstrated that stress results in physiologic dysregubrion, such as increased cortisol secretion or changes in immune function, within individual caregivers over time. Similarly, researchers have not yet demonstrated that such physiologic responses are directly linked to illness outcomes in caregivers. Demonstrating sequential causal relationships among variables considered critical in the path from caregiver stress to illness is certainly challenging. Nevertheless, these efforts should be of high priority. The literature clearly shows that the intensity of care-giving, whether it is measured by the type or the quantity of assistance provided, is associated with the magnitude of health effects. Emerging evidence suggests that other factors, such as the level of patient suffering, may contribute just as much to a health decline in the caregiver. It is important to disentangle the effects of helping from those of other aspects of the care-giving context, such as patient suffering. We also need a better understanding of the different types of caregiving experiences and their effects on health. Providing help that fails to enhance the quality of the patients life may lead to frustration, resignation, and negative health effects for the caregiver. But it is likely that providing help that significantly addresses the needs and desires of a patient is uplifting to the caregiver and contributes to positive health effects. Because research on the positive aspects of caregiving is relatively new, we know little about how these good experiences moderate the stress response and affect health. Many caregivers have to juggle more than one job at the same time. Your caregiver may work a full-time job and care for children or other family members, too. Balancing everything can actually cause chronic (long-term) stress. This kind of stress can lead to physical and emotional issues, like poor sleep, anxiety, or even physical illness. People with pain sometimes try to “protect” their caregivers by hiding their pain. On the other hand, caregivers sometimes deny that they’re stressed to “protect” the person with pain from worrying or feeling guilty – but these strategies rarely work. Talk openly. You can ask your caregiver to read this article as a way to break the ice. Talking honestly with one another is the first step toward finding solutions to stress. Learn about caregiver support groups in your community. Local hospitals or community centers are a good place to start a search. You can also find online support groups for caregivers. Encourage a healthy lifestyle. Caregivers sometimes ignore their own health. Tell your caregivers that their health is important to you, and encourage them to eat well, exercise, and get enough sleep. Look into resources that can help lighten your caregiver’s load. For example, see if there are rides to appointments or home health services that are available in your community. You may also find people willing to lend a hand through a social network or a religious community. You didn’t ask for your pain, and you shouldn’t feel guilty if you need help from others. Let the caregivers in your life know that you care about their health and happiness, too. It may help both of you cope better in the long run. 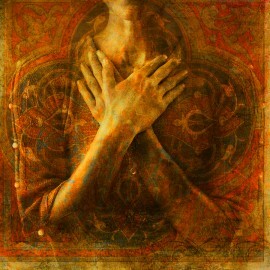 Care-giving often result in chronic stress, which comprises caregiver’s physical psychological health. Depression is one of the common negative effects of care-giving. Caring for a person with dementia is particularly challenging, causing more severe negative health effects than other types of care-giving. Care-giving can also be beneficial, enabling caregivers to feel good about themselves, learn new skills, and strengthen family relationships. November is Caregivers Awareness Month, and in celebration of this event, we urge all caregivers to Take Action and work on self-care. National Family Caregivers Month (NFC Month) – observed every November – is a nationally recognized month seeking to draw attention to the many challenges facing family caregivers, advocate for stronger public policy to address family caregiving issues, and raise awareness about community programs that support family caregivers. NFC Month is a time to thank, support, educate, and celebrate more than 50 million family caregivers across the country. This November there is a special emphasis on the need for all of us to help family caregivers protect their health in order to have a more satisfying life and be better able to provide their loved one with the best care possible. 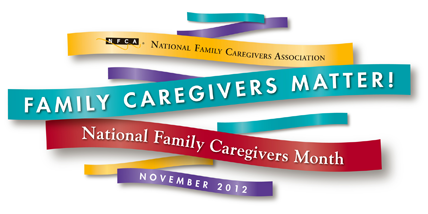 To learn more about NFC Month visit the National Family Caregivers Association Website.